Ahhh. I am sighing in relief. I am feeling a lot less stressed today than I was feeling yesterday. My stress reducing technique began last night, immediately proceeding work. First, I drove directly to our nearest Charming Charlie's and bought a new scarf for myself. I'm wearing my new scarf today. After buying myself a new scarf (and a birthday present for a friend) I went home and did the dishes. Doing the dishes made me feel a little better. I felt guilty for getting so behind on them. After doing the dishes I went to visit my sister at her first day of work at a local ice cream stand. She made one of her very first cones on the job for me. The cone that my sister made for me. Time spent with the puppy, our other dog and my husband makes me and them happy. Time spent on my meal plans and exercise plans takes me closer to my weight loss goals. Time spent on housework brings me outer order, which in turn brings me inner peace. After doing that getting my housework done yesterday, I felt even more relieved. The housework was stressing me out and now that our house is clean again, I feel empowered. Another reason why I am feeling better today is that I actually got some decent sleep last night. The puppy didn't bark once last night because we moved him in to the bathroom. It's a lot bigger than the kennel and I think that he liked that arrangement more. Sleep is so important for feeling good and losing weight. Just to prove that, I stepped on the scale this morning and I am down another pound (234.2). The only thing that I didn't manage to fit in to yesterday was exercise. I did vigorously scrub the floors, but it was the type of exercise that I wanted. Even though I didn't reach all of my goals, I am still closer to obtaining and maintaining that balance that I crave so badly! I am a true believer that outer order brings inner peace. I have been feeling so frazzled lately because housework has been creeping up on me. Ever since our new puppy has come home, it has been really hard for me to ignore him after being away at work for 9+ hours. I mean, look at his face... could you ignore that face to go sweep and mop floors? Adding Topher to the mix has really caused me to fall behind on my housework. I feel like I need to spend every waking minute trying to keep Topher awake and happy that way we can get a decent amount of sleep at night. We made the mistake of letting Topher sleep all afternoon on Monday and we payed for it with a whining/barking puppy from 11 p.m. - 5 a.m. I only wish that was an exaggeration. I finally went downstairs around 2:30 a.m. and held him until 3:30 a.m. Once I put him back in to the kennel, the barking continued. Last night was not as bad because I was able to spend a lot of time trying to keep him awake and active after work. Each of these goals are important to me; that is why I am going to work hard to reach them. What are your goals this week and why are they important to you? Pounds to Goal: 35 lbs. 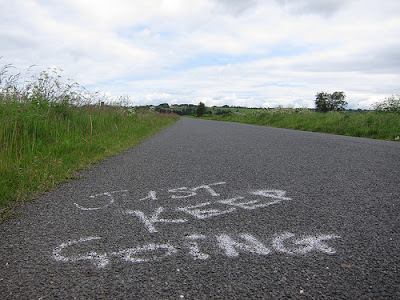 ﻿Last week (and this weekend) I felt pretty defeated. My self control was no where to be found. After eating so poorly, I am craving a healthier diet. I feel good this morning and I am determined to follow my exercise and dinner plan for the week. It is week 20 in my Big Bridesmaid Challenge and even though I haven't been taking it as seriously as I should have been, I still have time to change that! I am going to do my best this week. I am worth it! As a part of my 25 by 25 list, I wanted to host a bonfire with friends. This happened and it was a really great time! There was fire, friends, wine, good food and a cute husband playing guitar. What a perfect night that was. The friends, wine and good food. My cute husband playing guitar by the fire. 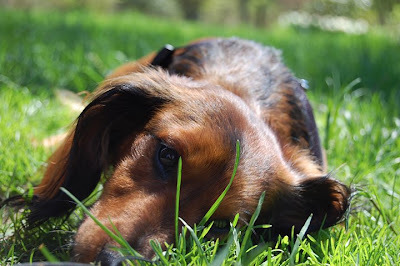 ﻿ Another item that I have been working on with regard to my 25 by 25 list is taking my dog, Max, on more walks. This has been happening and it is going to continue to happen because he just loves going for walks and I enjoy it, too! Max, in his walking harness. Something else that I have completed from the list is hosting a family picnic. That would the Memorial Day Picnic that we had this weekend. It was a great time and I always love being the host of at least one family picnic a year! I Need Some Self Control, Stat! I am tired of having to confess that I have been eating bad. I am sure you are tired of hearing it, too. I don't know where my self control went but I need some, stat! The summer-like weather has me feeling like I'm on summer vacation from my routines. I haven't followed my exercise plan, I mean really followed it, for a couple months. My dinner plans for the week have been tossed to the side for eating out pizza, wings, calzones, burgers and beers. We have been invited out to join friends and even our teammates (from softball) for beer and food so many times within the past couple weeks. Problem is, we don't say no. Could I eat healthier while I am out to dinner? Yes. Have I been going that route? Absolutely not. Am I going to work on changing this? Definitely. I'll never give up. In other news, today is a very exciting (and busy) day for us! Topher is coming home to stay! He is 7 weeks old today. Topher is already in love with my shoes. I haven't missed this part of having a puppy! 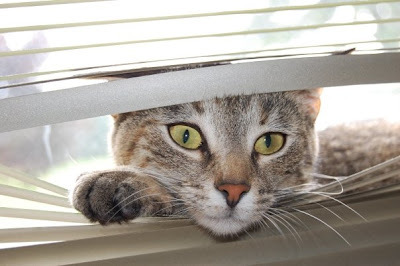 Max has just learned that Topher comes home today. I think that his reaction was a combination of shock and awe. Or, he just really wants to go outside to play. The jury is still out on this one. Something else that is exciting (yet frightening) is that we got a new air conditioning unit for the first floor of our home. The one that we have had for two years finally quit on us. My husband made a late night run to Lowes last night and bought this new life saver for the very hot weekend we are experiencing. We're exciting that our house is finally below 80 degrees, however, the price tag was a little more than I'd like to admit. Hence, the fright. $350.00 of pure comfort and happiness. Last night was my first softball game in a slow pitch league and I was so excited/nervous to play! I played catcher most of the night and let me tell you, my arm is sore! We lost by a long shot, but it was a ton of fun! I feel like when you are losing by a large margin that is when the game gets really fun; there is no pressure and you just get to play. I was able to go up to bat twice and both times I hit the ball with no problem! Unfortunately I hit the ball infield, so they got me out at first base both times. The good news is that I got the ball in play so the person on third base was able to run home! My husband played with us last night, too. He had never played softball before and he did really well! I loved having him there; he was really supportive. Even though I stretched last night, my legs and arm are very sore. To be honest, I am looking forward to some quality time with my couch tonight. I need to rest up because this weekend is very eventful. Tomorrow, we have to clean the house and get the yard ready for our Memorial Day picnic on Sunday. Tomorrow is also when our new puppy, Topher, is able to come home. We are most likely going to have all of his siblings for a little while tomorrow as that is the day of “puppy pick-up”. Everyone who has claimed a puppy gets to pick them up, tomorrow. We only have one that is unclaimed, but I am hoping to find him a home, soon! What is my Finish Line? For lunch today, I ordered Chinese food. I ate sesame chicken with white rice. I try not to order Chinese food too often, but I realized after I got to work that I wouldn't have a chance to eat dinner until possibly after 8:00 p.m. this evening. I'm playing in my first softball game right after work. Chinese food keeps me full for a long time, so I decided to go ahead and order. My fortune from the fortune cookie that I ate after lunch said to never give up until you reach the finish line. This one had me thinking, "What is my finish line?" Right now, my finish line is weighing in at 168 lbs. It's making health choices without much thought. It's being a better wife, friend, sister, and daughter. What happens when I reach my finish line? Only time will tell, however, I'm pretty sure that I'll just be searching for the next. For me, this journey doesn't end after the finish line. Yesterday I had some luck while shopping at the Gap! As I mentioned before, my friend who is getting married this summer has asked that those attending her bachelorette party wear a "little black dress". I expected dress shopping to be difficult. Thankfully, it was much easier than I expected! This dress was originally about $50 and I got it for about $20! Usually I have to buy XXL when shopping at the gap, but this dress was only an XL! It's not a "little black dress" but it's smaller than it would have been just a few months ago. Progress! Pounds to Goal: 36 lbs. I try to be positive all of the time, but I am only human. Everyone has their moments and I am having mine, today. I kind of want to scream right now. I gained 4.4 pounds since last weekend. Granted, I went overboard with my eating this week; however, I worked really hard this weekend to try and make up for it. I practiced softball twice; both times until sweat was dripping in to my eyes and I couldn't practice anymore. My arms, back and legs are in serious pain. I haven't worked that hard in months. I was a little really bitter this morning when I stepped on the scale. I said to myself, "What is my reward for working SO hard? Weight gain. Just wonderful!" I really need to go back to my post from Saturday morning to remind myself that sometimes I'll be up, and sometimes I'll be down. I'm going to use my frustration to motivate myself to strive harder this week. Let me first start by saying that we have been blessed with a gorgeous morning here in upstate Pennsylvania. I got to enjoy some peaceful time by our pond this morning. The sun was shining through the trees and there was a light warm breeze. It's going to be a beautiful day! ﻿Last weekend, my husband and I put down about 2 yards of mulch around the pond and up our main walkway. We have a lot more work to do before our Memorial Day picnic next weekend, and today is going to be a great day to get that work done! ﻿﻿Something else that I am excited about today is my new clothes line. My husband created a removable clothes line between two of the trees in our backyard. I love this because whenever we have company over, I can remove the line and put it up when I need it. I love fresh clean bedding straight from the clothes line. It is the small things in life that make this girl happy! 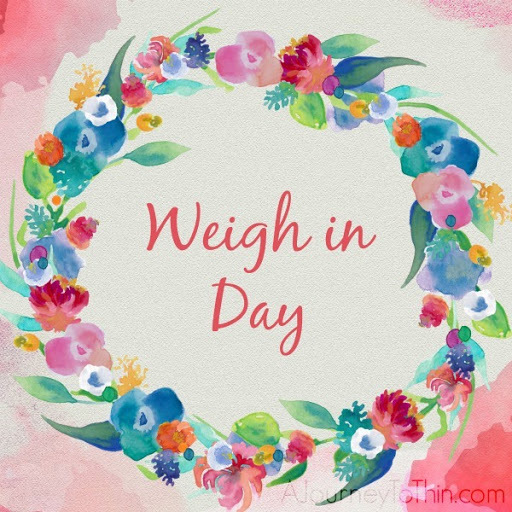 ﻿﻿Now, on to the not so beautiful topic; my weight. As must husband and I were eating out last night, (Yes, you read that correctly. I deviated from my dinner plan for the second third time this week) I said something very true in my mind. 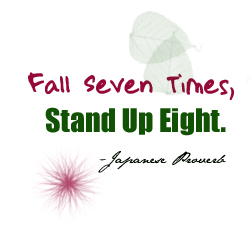 "Sometimes you're up, and sometimes you're down." I was speaking about my weight. I know how much I wanted to be out of the 230's this week, but I also know that this journey isn't meant to be perfect. I wasn't very upset about the fact that I will not be leaving 230-ville this week as I ate dinner with my husband last night. I realized that I was enjoying myself. Enjoying yourself and being happy on this journey through weight-loss is very important. All work and no play doesn't usually end well. I am coming to realize that the same applies to weight loss; at least when it comes to the significant amount of weight that I want to lose. Losing 100 pounds is going to take a while. I am 35 pounds in to it, and after a year I can say that I have been happy throughout the journey. I very well could have tried to be more strict, but I tried the "all or nothing" mentality before and it never worked for me. Losing the weight slowly is what works, for me. My days of instant gratification (for the most part) are over. Sometimes I will be up, and sometimes I will be down; but I will be happy. Okay, I just let out a little laugh when typing the title for this post. At 231 lbs., I am far, far, far from skinny, but I definitely felt smaller than usual today. I have been eating bad this week, so I haven't lost any more weight. I don't know what it is, but I just feel lighter today. Topher's first visit at our home. Last night, we had Topher over at our house for the first time. He isn't 8 weeks until this Saturday, so we are waiting until then to bring him home to stay. He was enjoying his new big backyard last night. It was so funny to watch him frolic through what must seem like a forest of grass to him. After reading some articles about weight-loss, I realized that I have been completely neglecting strength training. Don't get me wrong, I haven't even been doing my fair share of cardio these days, but strength training hasn't even crossed my mind in well over a year. This is something that I need to work on, desperately! I am thinking that when I create my workout schedule for next week, I will try to be more specific and include strength training. Does anyone have a good strength training routine for beginners? Something new that my husband and I have been enjoying for dinner lately is homemade vegetable panini's. My panini had green peppers, onions, tomatoes, mushrooms and a slice of pepperjack cheese. These are super filling and just as easy as they are delicious! These past few days I have been having a hard time with evening snacking. I make it through the entire day and throughout dinner on target then "boom"; the evening snacking begins. I have binged at least twice so far this week. That isn't going to be good for my weigh-in on Sunday. At the beginning of the week, I was so close to being out of the 230's I could almost taste it. That taste has now been replaced with cookies, ice cream and even a cheeseburger from McDonalds. I don't know what my problem has been lately! I think that it has something to do with my hormones being all funky, but that is still no excuse for losing self control. I am declaring that I have taken two steps back, so now it is time for me to take a step forward. I'm getting ready to leave for the gym in 15 minutes. This will be my first visit since before I had pnuemonia 3 1/2 weeks ago. I'm going to take it easy, but after 3 1/2 weeks of not being there, I'd say that easy is better than nothing. I have some exciting news. My husband and I are about to welcome a new puppy in to our lives and he comes home next weekend! Right now we have two furbabies; a mini dachshund, Maximus, and a cat, Isabella. ﻿ My mom has Max over at her house every once in a while. She watches him when my husband and I have plans that will keep us from the house for a long period of time. Well, my mom has three female dogs who are not spayed, and Max wasn't neutered until recently. We neutered him right after we found out that one of my mom's dogs were pregnant. So, about five in a half weeks ago, along came Topher; Max's son, and the newest addition to our little fur family. My super cute husband with Topher. ﻿Next weekend is Memorial Day Weekend, so it is going to be a busy one! On top of Topher's arrival, we will be hosting our annual picnic and I still have a lot that needs planned for that. We welcome all four sides of our family as well as friends to our picnic. It was a lot of fun last year and I am looking forward to having everyone over, again! Dear "Ate a Calzone and Gained 3 lbs." I get a kick out of seeing what kind of search terms people are using when they come across my blog. 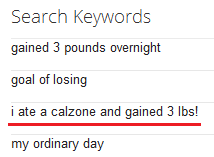 I was scrolling down the list yesterday when I found one search term in particular that made me smile: "I ate a calzone and gained 3 lbs!" If you are out there reading this, I must say that you should really check out the letter that I wrote to my dear reader, Ate Chocolate and Gained 3 pounds. I think that the three of us have a lot in common. I must confess, I absolutely love calzones. I have recently succeeded at making my own calzones at home. They are really good, however, nothing beats the calzones that are made at our local pizza shop. I can honestly say that the calzones from our local pizza shop are my greatest weakness. Those greasy cheesy calzones definitely trump chocolate any day of the week! With that being said, if you want to eat a calzone and not gain 3 pounds, I suggest making your own at home. It's really easy and still very satisfying. Whenever you make your own calzones at home, you have control of what and how much ingredients you are putting in to your meal. While I don't believe you truly gained 3 pounds from a calzone (unless you were participating in the worlds largest calzone eating contest) I know that it can be frustrating to see that fluctuation in the scale. I've been there, many times. Just know that it's not "true" weight and that it will come off as fast as you put it on, as long as you switch back to eating healthy and in moderation, pronto. Pounds to Goal: 31.6 lbs. Last week, I lost a little weight despite my lack of exercise. I didn't follow my exercise plan, at all. This has been a struggle for me ever since I was sick with pneumonia. 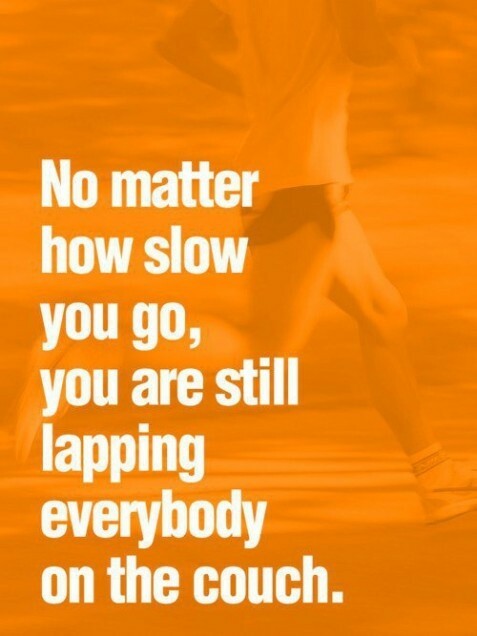 Since then, I began having another health problem that has been keeping me from exercise. I am basically anemic at this point and I am trying to hold off on going to the ER as long as I can. I am hoping by Wednesday I will be feeling well enough to spend some time in the gym. Something for me to remember this week. ﻿ This weekend was very eventful. We did a lot of yard work on Saturday and I attended a bridal shower planning meeting. As a bridesmaid, I will be making a $25 gift basket to be given away at the shower. I chose a movie night theme, but now the more that I think about it, there isn't too much that can be done for that. I suppose that I could either buy a couple DVD's with popcorn and other snacks or buy movie passes with the popcorn and snacks. What do you think? Any other ideas are welcome! I haven't been feeling very creative lately. I can use all of the help I can get. Also at the bridal shower planning meeting, we were informed that the bachelorette party will be the evening before the bridal shower. We are all suppose to wear "little black dresses". I couldn't help but laugh as I typed that last sentence. At 231 pounds, I am not the "little black dress" kind of girl. There is nothing "little" about me. Needless to say, shopping for a dress that fits that criteria should be interesting... and mildly embarrassing. So let's see, this brings us to Little Bridesmaids 2, Big Bridesmaid 0. How many more rounds of this will there be until the big day? I'm tired of feeling like such a burden. Three nights ago, I tried a new vegetarian recipe for dinner. I don't know who loves this dish more, my husband or myself! This dish is loads of yum. We had about 4 containers of leftovers and they didn't stand a chance in our fridge. My husband ate two containers after school one night, and he finished the last container yesterday after work. This dish just has it all - texture, taste and it's easy to make! Let me know if you try this recipe, and what you think! We loved it. As a part of my 25 by 25 list, I made it a goal to shop at a whole foods market this year. This past weekend, my husband and I went grocery shopping at our nearest market, about 45 minutes from our house. We spent about 30 minutes looking around the store, checking out the different items that they carried. We had a great experience and were really impressed. We bought a few items before heading to their cafe. Local homemade ice cream and chocolate covered raisins. I was really excited to find some safe and natural cleaning supplies for our home. I had read of the negative health effects from some of the cleaning supplies we have been using in our home and had made a mental note to look in to a more safe alternative. I don't have any explaination for the homemade ice cream and the chocolate covered raisins. My husband and I seemed to both picked out a treat while we were there. I picked the raisins and he picked the ice cream. I think we both caught ourselves thinking that since we are in a "health foods store" these usually "bad-for-you foods" must be "good-for-you" since we are getting them from this store. It's true that these may be better for us, but we can't use that excuse to buy more ice cream and chocolate covered treats! Carrot, kale, cucumber and ginger juice. After we were done shopping and looking around the store, we headed to their cafe. I wanted to get a vegetable juice and they had a lot of ingredients to choose from. I have never juiced anything in my life, so I had no idea what combination to order. I ended up ordering carrot, kale, cucumber and ginger. The picture taken above, with my smile, was taken before I tried the drink. Trust me that I wasn't smiling after my first sip.﻿ I actually laughed because it tasted so bad. My husband was all smiles though, because he got a fruit smoothie and it was delicious. I know, because I had a few sips before he said that we needed to get me my own. Since we were passing a Cold Stone Creamery on the way home, I bought a strawberry banana smoothie and was much more satisfied with that purchase. Although I highly doubt that my strawberry banana smoothie was better for me than the vegetable juice, I was still glad that I tried something new! Do any of you have suggestions for my next juice order at the whole foods market? I've wanted to try a yummy green drink to get some more vegetables in to my diet! This past weekend, I tried on my bridesmaid dress with the shoes that the bride picked for us to wear on the big day. My husband took a picture of me in the dress. We had to pin it in the back in order for the dress to stay on! I was excited yet nervous about that. I am definitely going to need alterations, however, I do not know when the best time would be to get alterations done. I have lost 12 pounds since trying the dress on initially, in store. The dress in the store fit snug. The actual dress is the same size as I tried on in store, so I must have lost some inches since the initial fitting. May 6, 2012 - 233 lbs. - Total of 35 pounds lost! I have lost a total of 35 pounds since starting my weight-loss journey at the beginning 2011. My goal for the wedding is still 33 pounds away. The wedding is on August 11, 2012. How much longer do you think I should wait for alterations? As a part of my trying to eat less meat for dinner this week, I made a new vegetarian dish last night. The recipe from sparkrecipes.com was easy to follow and the meal tasted great! By making this new dish, I have also completed my twelfth new recipe for the year as a part of my 25 by 25 list! 2. In a large skillet, heat oil over medium heat. Add onion, mushrooms and garlic and cook, stirring occasionally, until tender or 10 minutes. Stir in spinach and pepper and cook until spinach is slighlty wilted, about 1 minute. 3. Toss mushroom and spinach mixture with pasta and sprinkle with cheese. Serve. I am definitely going to make this meal again in the future. If you decide to try it, let me know what you think! Pounds to Goal: 33 lbs. This past week was good; I reached a total of 35 pounds lost! I was a little surprised since I only went for two walks and didn't go to the gym as scheduled. Regardless, I lost weight! 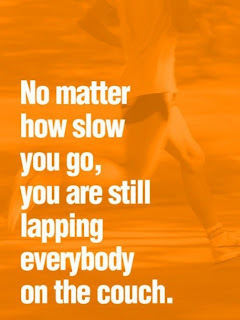 I am still going to stay away from the gym for today and tomorrow; I have been so drained with my MS related fatigue that I don't want to push myself too far. 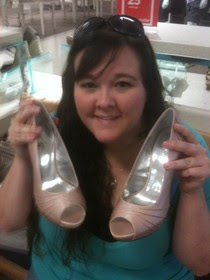 This weekend, I picked up the heels pumps that the bride picked for the bridesmaids to wear in her wedding. They are really pretty, and really high! I am a little nervous about the height but I plan on bringing back-up flats for the big day. This week, I am hoping that I stay within my carbohydrate range according to Sparkpeople. I decided to prepare mostly vegetarian dinners this week, which means that I will be eating more carbs than I usually do. I am going to eat chicken on saturday and fish on Wednesday. I don't think that I will ever go full vegetarian, but it was fun to search for new recipes to use this week. Sometimes life happens and things don't go according to plan. I haven't followed my exercise plan at all this week. Even though it is easy to dwell on what I haven't accomlpished, I am going to try and look at what I have done. Despite the lack of exercise, I have been doing very well with staying within my nutritional ranges. This is great because I really struggled with that when I was sick last week. I wasn't anywhere near being able to cook dinner while I was sick, so we ordered out nearly every day. 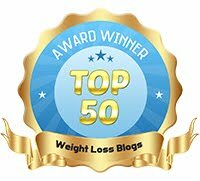 As soon as I started eating better over the weekend, my weight dropped and I reached a total of thirty-five pounds lost! It took me a while to get to this point (an entire year) but I made it. Thirty-five pounds down, sixty-five more to go! Warning: I'm about to share what some may think is too much information. I'm talking period issues today. Those who may be a little squeamish have my permission to stop reading now. Something that I don't share or speak about often is a disorder I was diagnosed with in 2006. I have polycystic ovarian syndrome, often referred to as PCOS. This disorder makes my periods irregular, and sometimes non-existent for months (sometimes a year) at a time. It makes it very difficult for me to lose weight, while gaining weight is a piece of cake. My OBGYN actually told me that "losing weight for a person with PCOS is nearly impossible." I will never forget when she told me this, because it justified my years of struggle with (mostly) unexplained weight gain. Within the past six months, after losing about 25 pounds, my period arrived for the first time in a year. Good news, right? Well, kind of. When I experience a period, there is a lot of clotting and what the ER doctor referred to as "flooding". Why did an ER doctor tell me this? The reason being that back in 2010 I had been "flooding" for a period of three days with barely any break in flow. The clots were increasing in size (golf ball size) and I was dizzy, anemic, and faint. At the time I was taking metformin, which caused this ritual to occur every two weeks. I was worn out and finally stopped taking the medicine in July. After that, I went without a period for about a year. Now that it is back, I have been experiencing "flooding" off and on, randomly throughout any given month. I don't get a normal period once a month. (I envy the women who do.) My period comes at random multiple times a week now a days, and hasn't stopped for about a month. Okay, now you may be wondering "why is she sharing this?" The reason being is that the "flood" is back and I have finally been able to narrow down a pattern, so I think. I am noticing that when I have a "good streak" of drinking lots of water, eating healthy foods and exercising, the "flood" comes. My guess is that my body is trying to regulate itself. I have shared this in hope to hear other opinions/experiences in this department. If you are too shy to share in a public comment, please email me at: goaloflosing(at)yahoo(dot)com. 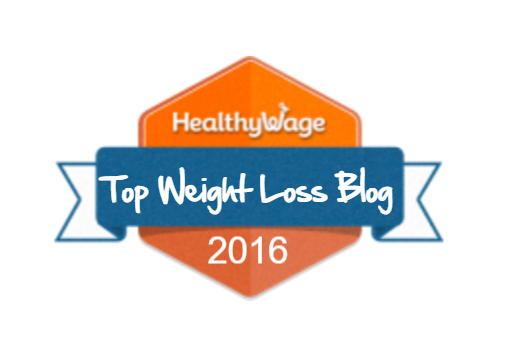 I was so surprised when I stepped on the scale yesterday morning to find that I had reached another milestone. I have lost a total of 35 pounds! 1. I am enjoying what I am eating! 5. I am motivated to be healthy, not just "skinny"
I hope that at least one of those reasons can help motivate you to reach your goals, as well!